The feasibility of neoadjuvant therapy (NAT) for elderly patients with rectal cancer has not been evaluated well. 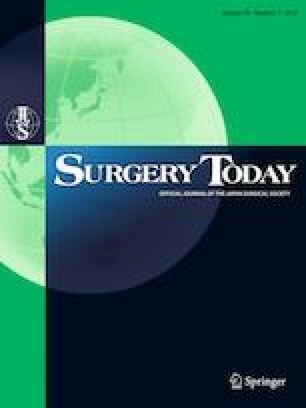 Between 2004 and 2014, 506 patients with locally advanced low rectal cancer underwent curative resection. Fifty-four were over 75 years old (elderly group), and 452 were under 75 years old (young group). The patients were divided into sub-groups according to whether they received NAT. Nineteen (35.2%) patients from the elderly group and 348 (77.0%) from the young group received NAT. The proportion of patients who received NAT was significantly lower in the elderly group. In the elderly group, the median age and prevalence of co-morbidities were significantly lower in patients with than in those without NAT. The incidence of severe adverse events was similar in the two groups. On multivariate analysis, age was not related to postoperative complications in patients who received NAT. The 5-year local recurrence rate was significantly lower in the elderly patients who received NAT, and similar to that of the young patients who received NAT. Neoadjuvant therapy was feasible and should be considered as a treatment option for carefully selected elderly patients with locally advanced low rectal cancer. Tetsuro Tominaga and Toshiya Nagasaki have contributed equally to this work. TT and TN designed most of the study. TT analyzed the data. All coauthors contributed substantially to this study and fulfilled the requirements for authorship as per the guidelines of the International Committee of Medical Journal Editors. All authors have read and approved the final versions of the manuscript. Additional informed consent was obtained from all participants whose identifying information is included in this article. Cancer Therapy Evaluation Program (2017) Common terminology criteria for adverse events (CTCAE) v5.0. National Cancer Institute. https://ctep.cancer.gov/protocoldevelopment/electronic_applications/ctc.htm#ctc_50.